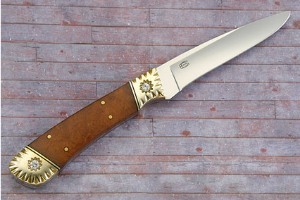 West Virginian knifemaker, Van Barnett has been making knives full time since the early 1980s. 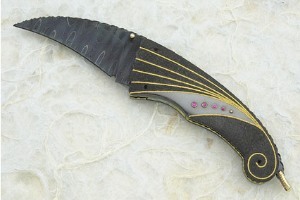 He is a self-taught knifemaker, beginning his knifemaking career after graduating from high school. 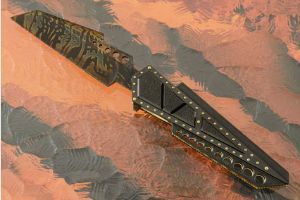 Identifying primarily as an artist, Van considered other careers, but was ultimately most inspired by knifemaking’s refreshing new way of experimenting with creativity in design and construction. Van calls his creations "designs from the mind with a breath of life from the soul." 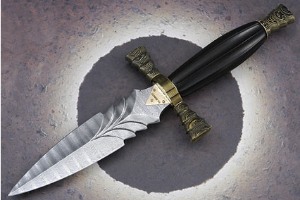 He has won over fifty knifemaking awards, and considers being voted into the San Diego Art Knife Invitational (AKI) one of the greatest honors he has ever received. 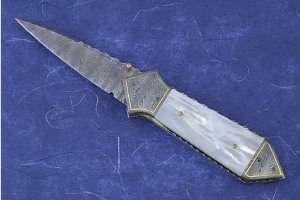 The AKI is a group of twenty-five knifemakers from around the world, and the only method of admission involves an existing member’s resignation or death. 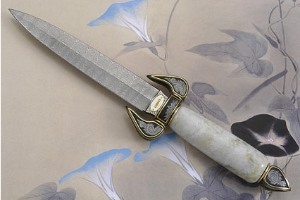 Van believes strongly in sole authorship, though he does occasional collaborations with his wife, Dellana who is also a knifemaker, artist, and jeweler. 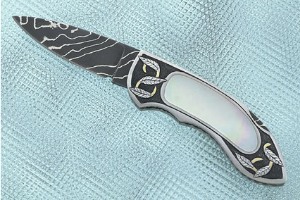 Van excels at engraving, carving, gold-work, and design.